ICO stands for initial coin offering. This is a process that is a set of activities for the preliminary issue and sale of a new type of digital tokens to investors in order to obtain the profit necessary to launch a new project. If you take into account the mechanics of work, ICO is a kind of synthesis of crowdfinding and IPO (initial public offering of the company, “initial public offering” in the language of financiers). releases tokens and sells them to interested persons, who become investors in this way. The last point is, in fact, ICO. All the rest is just preparation for it. It is worth noting that there is also such a thing as pre-ICO. This is a closed preliminary sale of the tokens at a lower price than the one that is set directly within the ICO. On the proceeds, that they received, startuppes often release an alpha version of the product and prepare for the ICO – for example, they conduct an advertising campaign. Investing in pre-ICO is even more risky than in ICO, because the potential of the product during the ICO can still be estimated, and in the pre-ICO it is almost impossible to do this: in fact, the investor gets the cat in a poke. Why invest in ICO is so popular? Efiriums during the ICO cost less than $ 0.5. Now the rate of the etherium is almost $ 900 per unit of currency. This is by no means the only example of successful projects conducted by ICO at the dawn of its existence – when no one could predict the degree of their success. Profitability, for example, ICO project Stratis for investors at the end of 2017 was more than 100,000%, ICO Neo – almost 60,000%. The sale of the tokens received during the ICO, when they grow in price several times (or even several dozen times), is the first reason why people are actively investing in ICO today, and discussions on new startups are constantly appearing on the Bitcointalk forums. The second reason investors invest in ICO is to receive bonuses or other benefits from the company. Some companies that decided to hold an ICO have a very indirect relationship to blockchain technologies. Sometimes it consists only in the release of its own token and organizing ICO, and the project itself, in which money is collected in this way, is far from the scope of the crypto currency. It can be at least the opening of an online store or clinic, although the production of toys. To attract investors, such companies are developing a number of attractive conditions that allow the owners of tokens to use the product on favorable terms. For example, they will be able to buy products in this online store at a special price or they will be entitled to use a service free of charge in the clinic. Some tokens approach shares and give the investor the right to vote when making decisions at the administrative level. Also, if the startup is successful, they can be resold again at a price that several times exceeds the purchase price. The third reason people invest in ICO is the desire to support a start-up. For example, it can be aimed at the development of a particular branch of science or the introduction of some socially useful technology. But even if the project is successfully implemented, there is no significant benefit for the investor. He can get some privileges, but investments here are more of a kind of charity. Such projects are, for obvious reasons, the least popular. Investing in ICO: Is it safe? The history of the economy knew quite a few cases when super-reliable and super-promising start-ups broke down. For example, during the ICAO DAO project in May 2016, it was possible to collect more than $ 150 million, but the hackers discovered a vulnerability in the code, so they managed to withdraw about $ 40 million from the company’s account. Crypto currency PayCoin also initially looked promising: its creator announced the introduction of innovative technology, which will put its offspring on the same level as bitcoin, and subsequently even surpass it. As a result, PayCoin has not surpassed Bitcoin by any parameter, many are far behind, investors have not received anything, and the creator had to leave the United States because of unfulfilled promises. It may happen that the final product will match the one stated in the whitepaper only formally, but in practice it will be useless. Sometimes an investor does not get what he wants because the startupper does not calculate something, somewhere he made a mistake and failed to “start” the business because of his inexperience. At best, he will return to the investor money, or at least part of it, at worst – disappear. Unsuccessful start-ups are not limited to risks. In the market, legal mechanisms are virtually non-existent, ICO is not legally regulated in any country, and therefore scammers are often found: the probability of remaining unpunished after the scam in the field of blocking technologies is unfortunately high. The ICO has a huge layer of fraud. They are often conducted on the same principle as on traditional crowdaming platforms: the scammer comes up with a project that is not going to implement, releases tokens, launches ICO, collects money and disappears. It may also be that the product will not respond at all to the claimed one: for example, a start-up company collected money for the opening the clinic, but instead started producing slot machines. In all cases, the investor loses – at least – time, as a maximum – all the money invested. There are no reliable ways to protect against scammers, alas. But there are signs on which it is possible to evaluate a startup and with some degree of probability to assume whether it is fraudulent, and if not, will it bring benefits. The choice of a reliable and profitable ICO is based on a thorough analysis of the startup. ICO and preparation for it are, albeit very conditional and simplistic, but still a model of the entrepreneur’s work in the early stages of building a business. And the fact that the start-up manager was able to find and interest good specialists and correctly advertize the project, shows that he is also able to do the same after the ICO, which means that the chances for success are higher than those of a person who could not find good specialists. At the beginning of the article, we schematically described the actions of more or less reliable startuppers – they, as well as their quality and consistency are indicative of investors, although, of course, they are not the final guarantee of the project’s prospects. market readiness for the product. Noticeably increases the sense of investment, if the product meets two criteria. It is very likely that a good income will be obtained if three and four criteria are met. Do not invest if the product does not meet any of the listed criteria. The investor can be told a lot about the whitepaper and the road map of the project that ICO conducts. These documents are intended to explain for the investor why it is worth investing into the project, and the explanation should be convincing and appeal not to emotions (“We will have the best!”), but to the rationale (which product will be better than others). 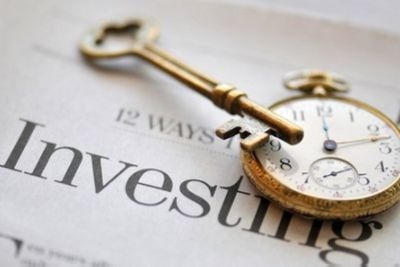 After studying such a document, a potential investor should have a feeling that investing money is really worthwhile, and a clear understanding of why this is appropriate. the argument is inconclusive, there is no way to verify it. There gave to be a specific description of the finished product and a consistent description of the steps for obtaining it. The startupper should know what he wants to see in the end, and have a clear idea of how to ensure this. the stages of achieving the goal look inconsistent, do not meet the realities of life. The minimum and maximum amount that the startupper intends to attract in the course of the ICO should be specified, and it should also indicate what the money will be used in case of attracting a minimum amount, maximum and intermediate. it is clear what the minimum amount will go to, but it is not clear how the remaining funds will be used. The distribution of tokens plays an important role. It is desirable that the team received no more than 30% of the tokens and / or could trade them after a long time, for example, three years after launch. Otherwise, it is likely that all the tokens available to the creators will be on the market as soon as the startup “shoots”, and this is fraught with the fact that other owners cannot profitably dispose of them. For the same reason, ICO conditions should prevent the possibility of concentrating tokens in the hands of one or two large investors. The cost of the tokens should not be overstated. Otherwise, after the ICO in the market of crypto currency it may fall, even if the startup looks more or less promising. Typically, the price of one token during the ICO is up to $ 1, sometimes much less. So, in ICO Civic 1 token corresponded to 1 cent, and the most profitable ICO of 2016 – Stratis – set the price at $ 0.007. The work of a good specialist, whether a block developer or a web designer, is worth a lot of money. It is not easy to form a good team, and if the start-up manager has managed to do this, then, most likely, he will adhere to the same quality of work plan in the future. Involving incompetent employees sooner or later will lead to the extinction of the project, so you need to look at everything: for literacy of documents and other textual information, for design, for code quality, for an advertising campaign. It is useful to see what other projects the attracted specialists have been working with and how they are evaluated in the relevant fields of activity. It is not worth investing, if the site is made “on the knee”, there is no open code, the texts are full of mistakes. The quality of the advertising campaign can be assessed primarily on the activity in social networks and on thematic platforms. Additional reliability of the project is attached to the meaningfulness of posts and answers to users at forums and in public. A rare posting of news, postings of notes not directly related to the start-up, brief, vague, meaningless answers to specific questions should alert the investor. Accurate facts, figures, promises, backed up by statistical data, detailed descriptions and the regular appearance of news, on the contrary, indicate that the project exists in reality and work on it seriously. The presence of the alpha version of the product allows, firstly, to see what is expected in the end, secondly, at least approximately to assess the quality of work; third, to understand whether the product can be modified to the one declared in the whitepaper, and whether the points indicated in the road map will lead to the necessary result. However, everything depends on the product, and sometimes its absence indicates only that it can be manufactured only if there are substantial funds, for which the ICO is required. Eventually, it is worth reading the feedback on the project and its discussions on Bitcointalk and other resources where the advertising campaign was launched. They are often attended by experienced investors who know how to evaluate the prospects of projects and it makes sense to listen them, especially for beginners. Finally, personal intuition is an important component for choosing ICO to invest. If something is embarrassing or seems suspicious, it is often better to refrain from making a positive decision and consider alternative options. Ultimately, when buying tokens within the ICO, you should be 100% sure that they are really capable of bringing you impressive profits.